We will finally have the first 5 packs of Cavalry available to ship by 2nd week of August. If you pre order before 31st July you will receive the as yet unreleased sculpts of William of Orange and Patrick Sarsfield free. 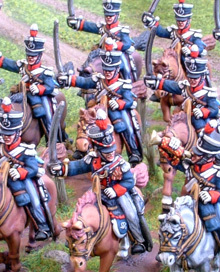 More cavalry will follow in August!